Little Polly Spencer liked to visit her hiding place up on the London rooftops, to escape a scolding or worse from her stepmother. Peeping through a studio window, she sees what looks like a burglary. But signs of robbery are merely a cover for murder – and the young figure on the roof seemingly the only witness to the crime. 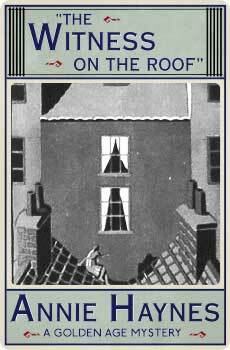 The Witness on the Roof (1925) is a classic of early golden age crime fiction. This new edition, the first in over eighty years, features an introduction by crime fiction historian Curtis Evans.